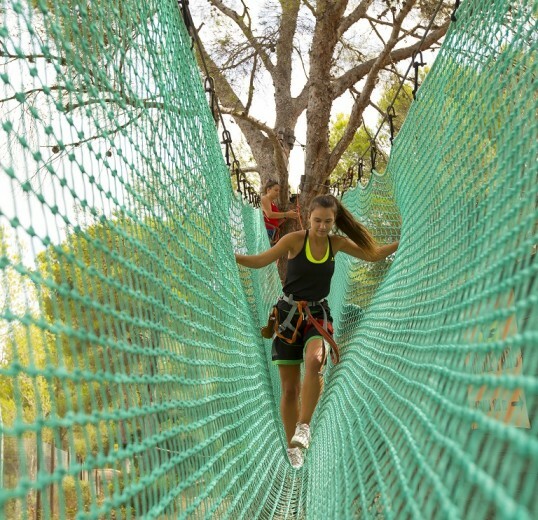 This adventure park is the largest on the island. 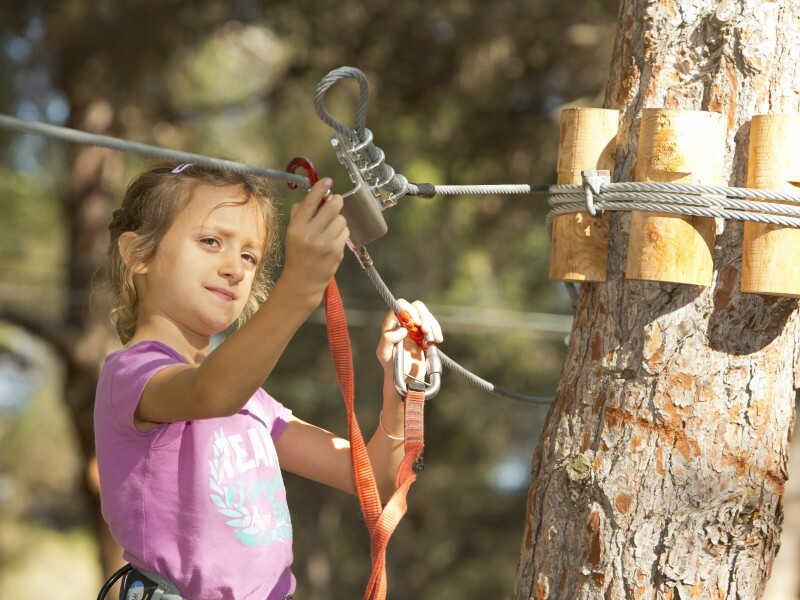 With high ropes adventure course, tree top adventure and ziplines you will spend an unforgettable family day. 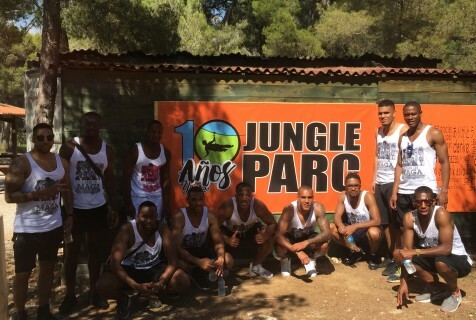 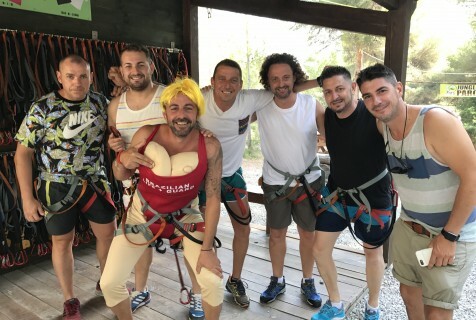 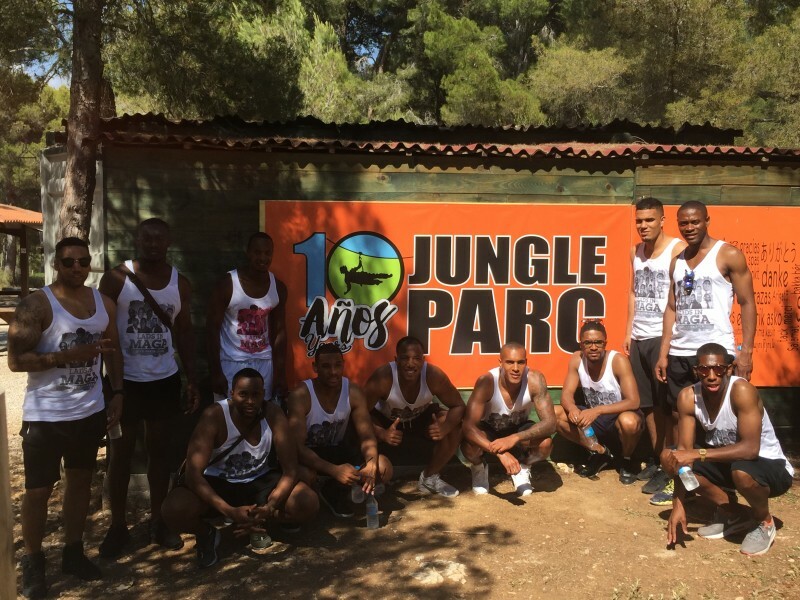 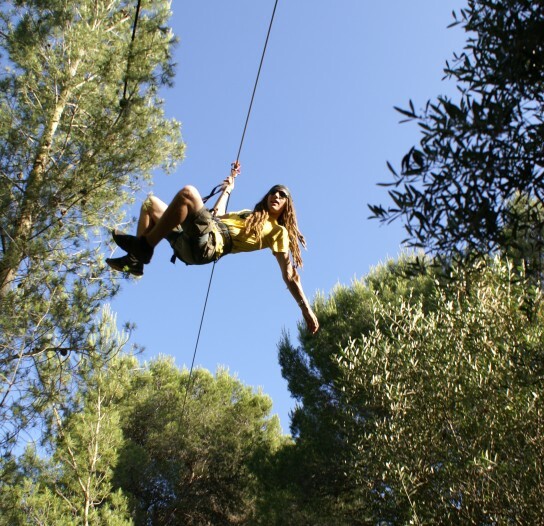 ADRENALINE RUSH IN JUNGLE PARC MALLORCA! 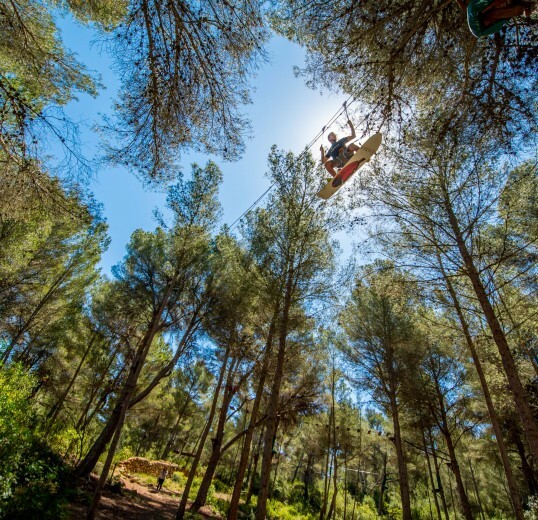 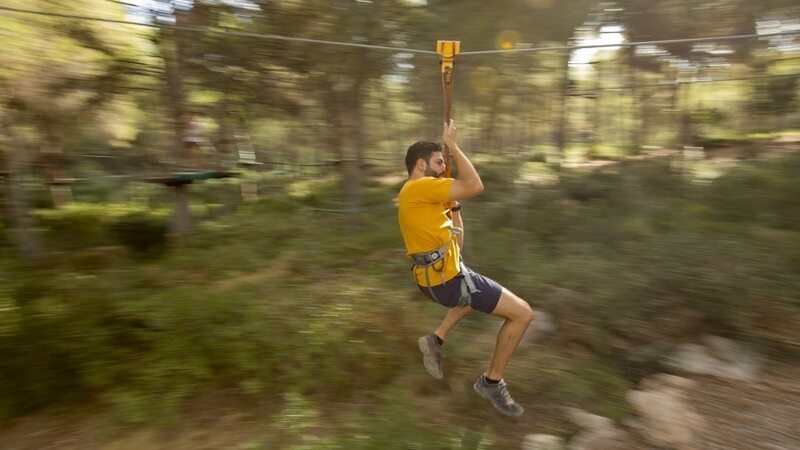 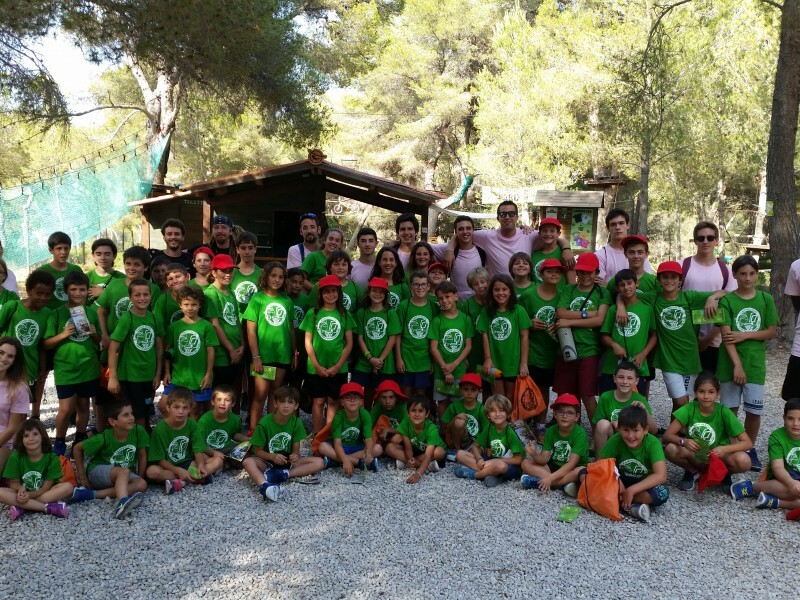 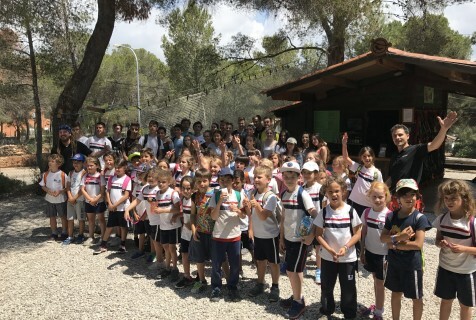 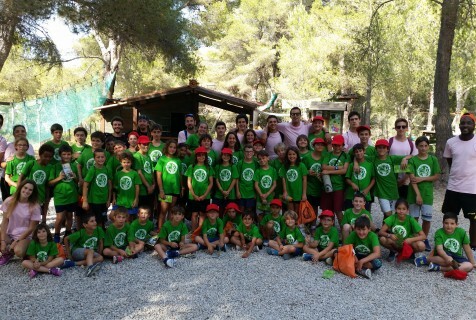 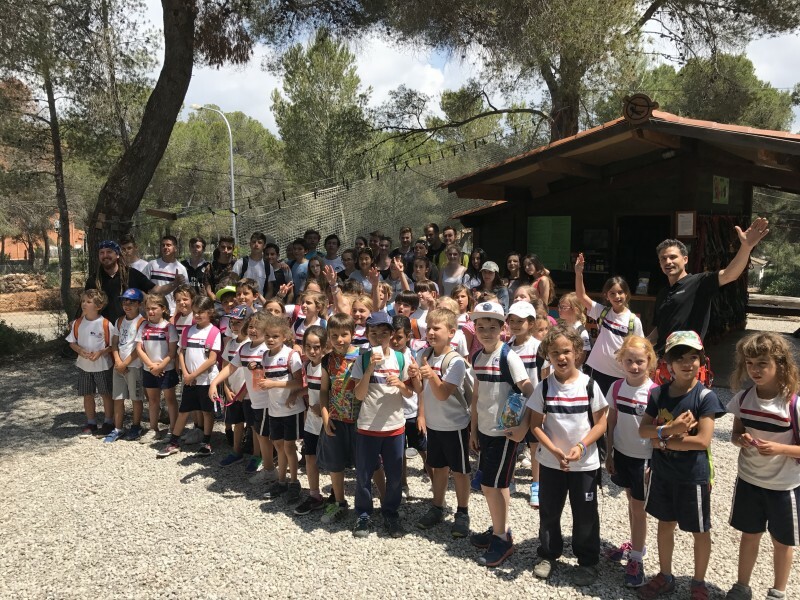 Discover the largest tree adventure park in the Balearic Islands! 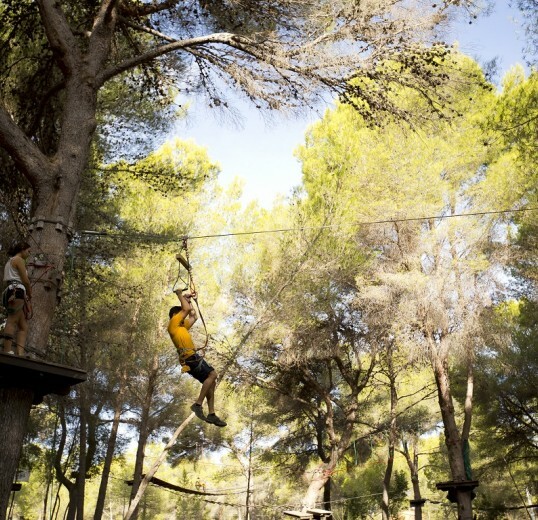 Located in the shade of A 9 hectares pine forest in Santa Ponsa, 500m from the beach, come and enjoy different circuits with a total of 134 platforms. 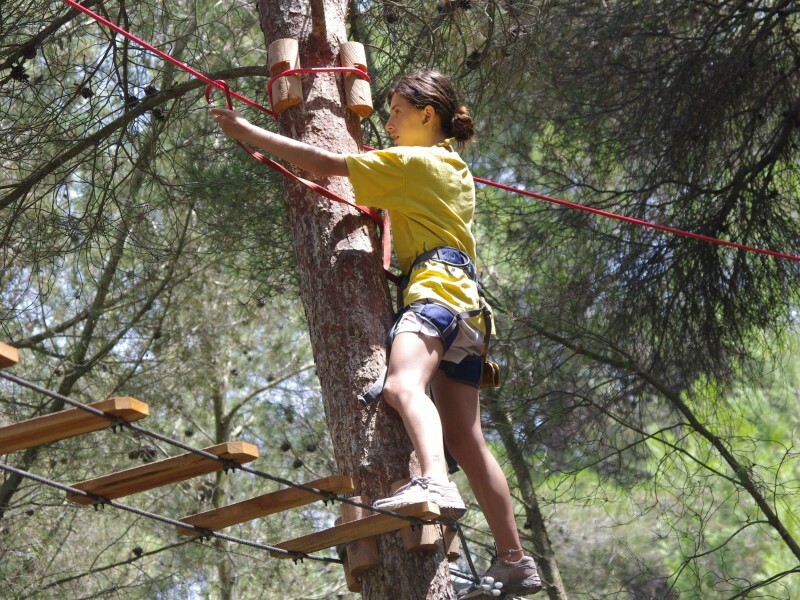 You will be required to move from tree to tree, at varying heights from the ground, using bridges, ropes, vines and lots of long zip wires! 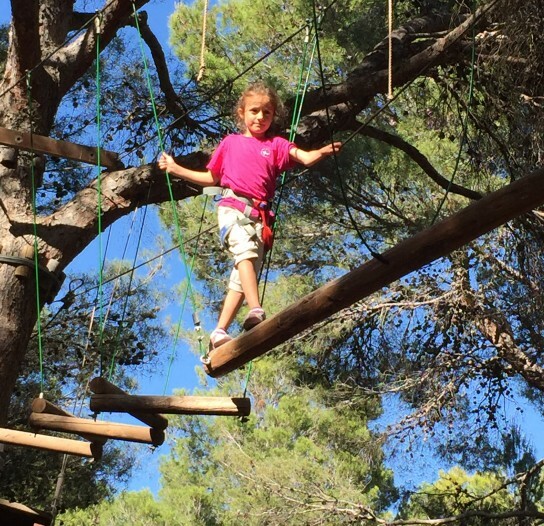 Our Piratas circuit is for children of 4 years and above. 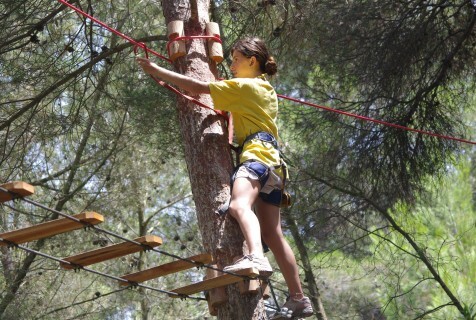 And there are two circuits for adults (Explorador & Extremo) . 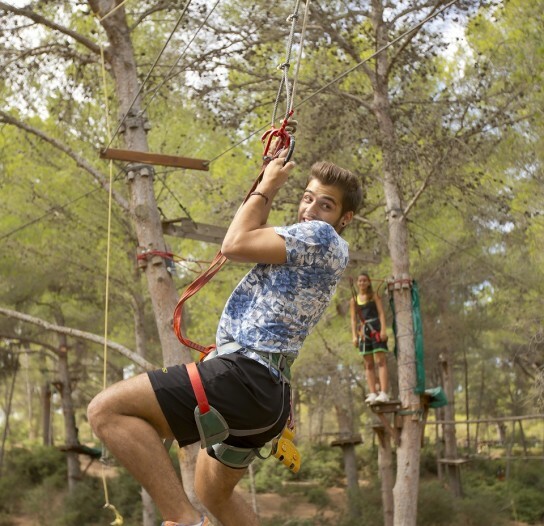 Unlike any other parks in Mallorca, JUNGLE PARC MALLORCA offers the longest courses achievable in one set! 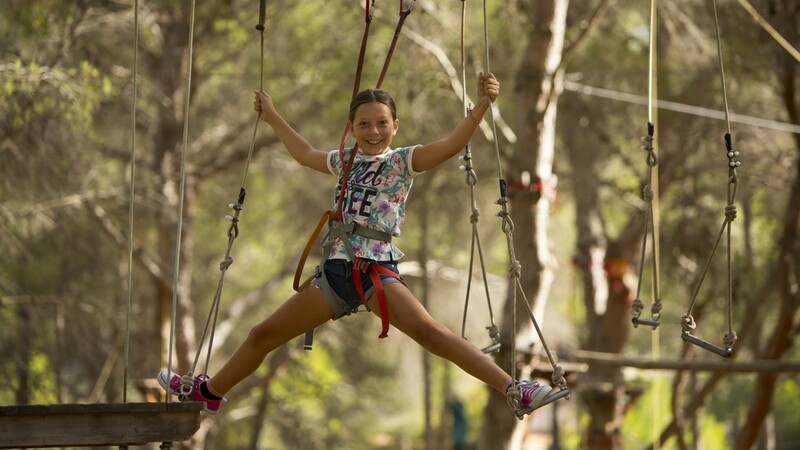 A challenging and fun tree top adventure that will push your limits and create unforgettable holiday’s memories… JUNGLE PARC: ADRENALINE AND FUN MAKERS! 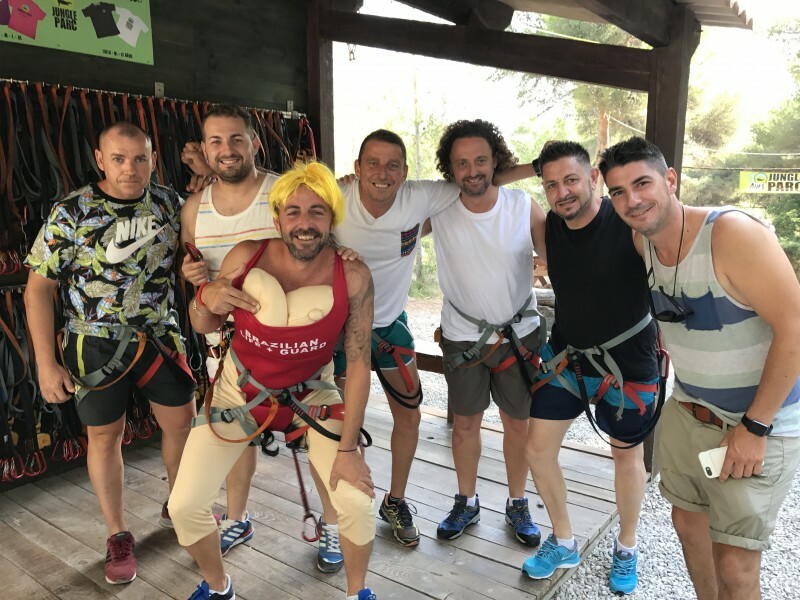 Approximately 1 hour of high rope adventure without touching the ground! 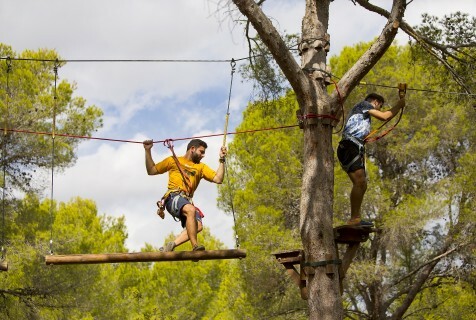 The “Extremo” course is much more difficult and sporty than the “Explorador” course. 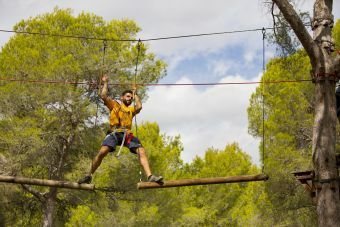 37 different exercises for the most intrepid between 3m and 10m high: Bridges and swings really wobbly…firemen ladder, snowboard, tigle-ropes, and as a reward long zip-lines more than 100m! 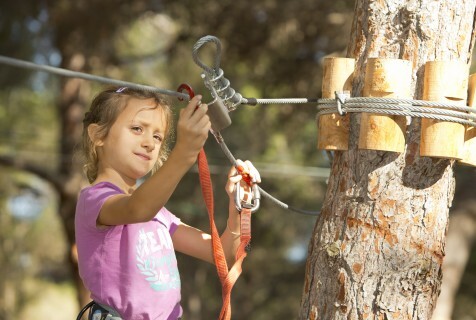 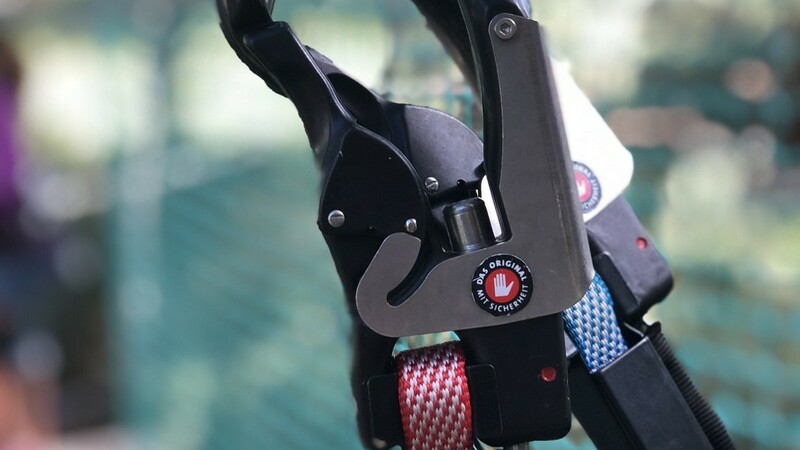 CONTINUOUS BELAY SYSTEM tour exclusively for children 4 to 12 years old. 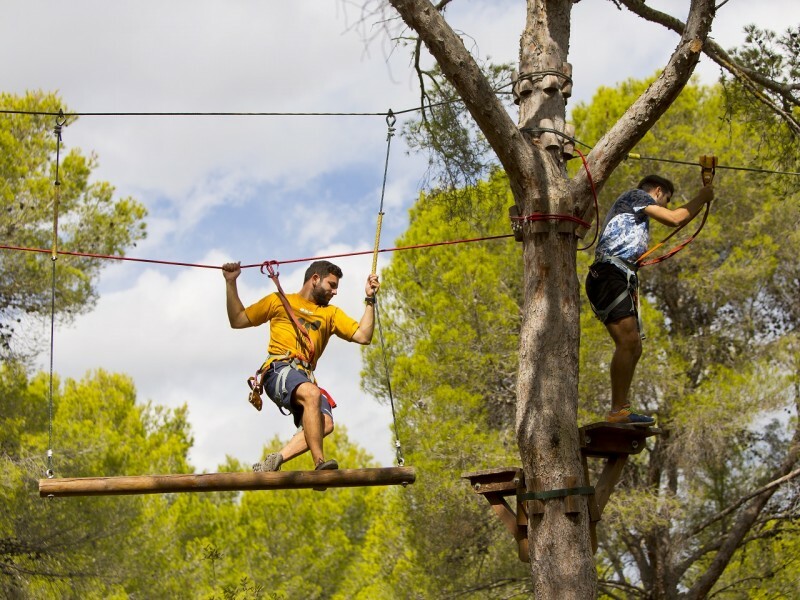 52 different exercises between 1m and 7 m in height: Bridges, nets, swings, zip-lines, Pirate Boat… This course is divided into 7 difficulty circuits, which are perfectly adapted to every age.